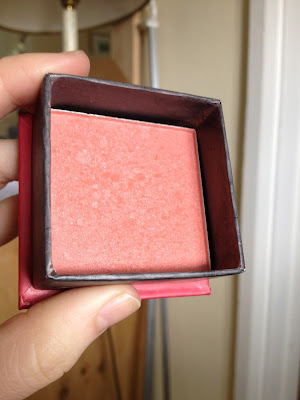 Here's a little mini review of my current blushes/cheek products that I use on a regular basis.. 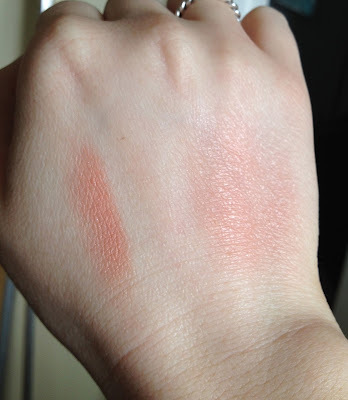 This comes in a Benefit stye box with a little brush (which I don't use) its called rogue but I think the colour comes up quite coral/ orange. 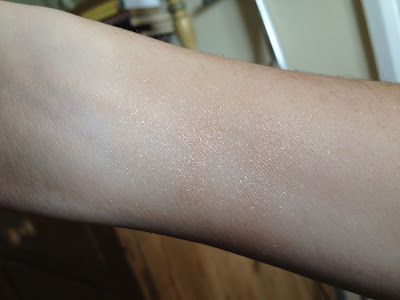 It has got tiny flecks of golden sparkle in it, which I personally love! 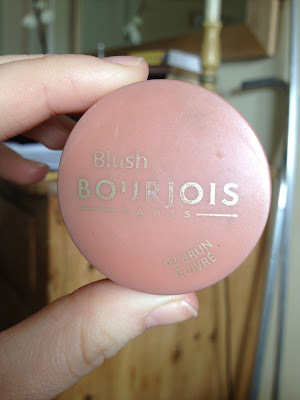 Not so much a fan of matte blushers, I think this is especially nice for spring/summer as it gives a lovely sheen to the cheeks..
Its got a lovely pigmentation and you can easily build up colour with this blusher, and its got a really nice silky texture. 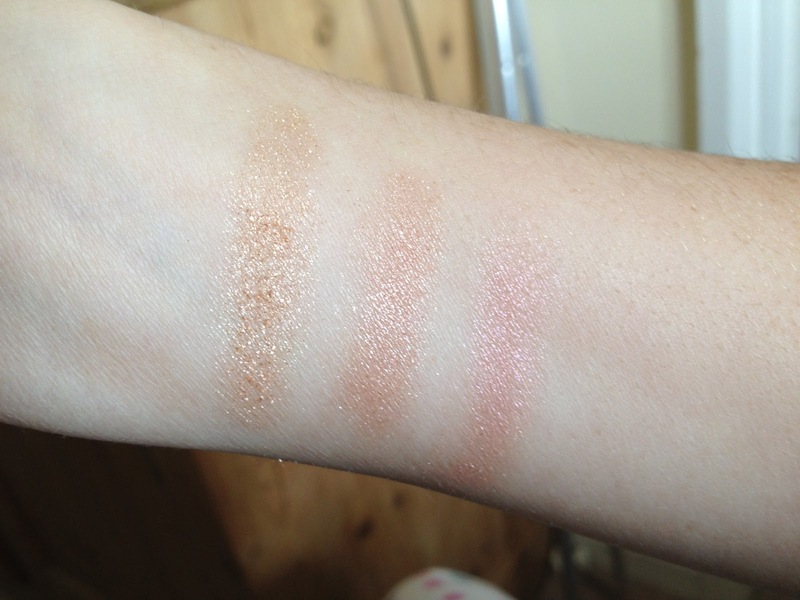 As you can see below, you can create a nice natural sheer blush or wear it more opaque, which ever you prefer.. 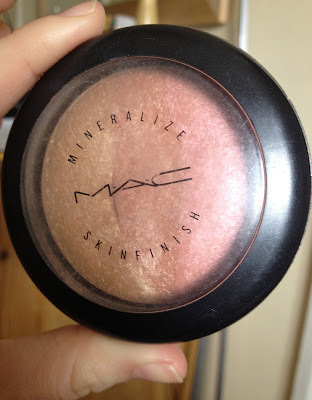 This is a limited edition product which I got in an airport, AGES ago, probably like 3-4 years, so I can't guarantee the price also I'm afraid there isn't really anything in MAC like this at the moment..
As you can see it is made up of 3 colours, a gold, an orangey brown and a pink, so they can be worn individually or blended together. 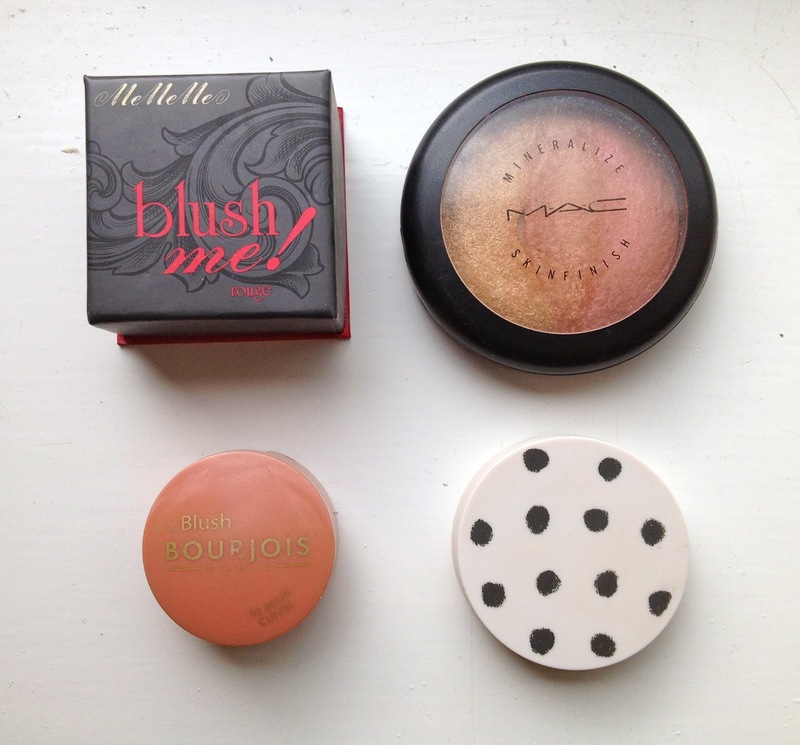 They all contain large amount of sparkle and glitter (especially the gold) so definitely stay clear if you are a matte blush kinda gal! 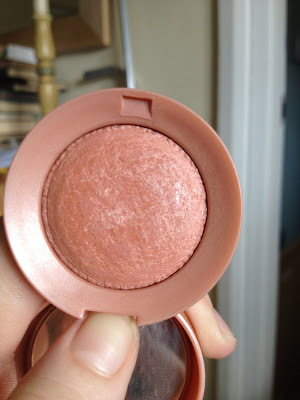 I personally only wear this out at night and mostly in the summer as I think it gives a lovely sheen to your cheek and I use it as a highlighter. Be warned, you do need a light hand as a large amount of product comes loose as you swirl your brush around.. 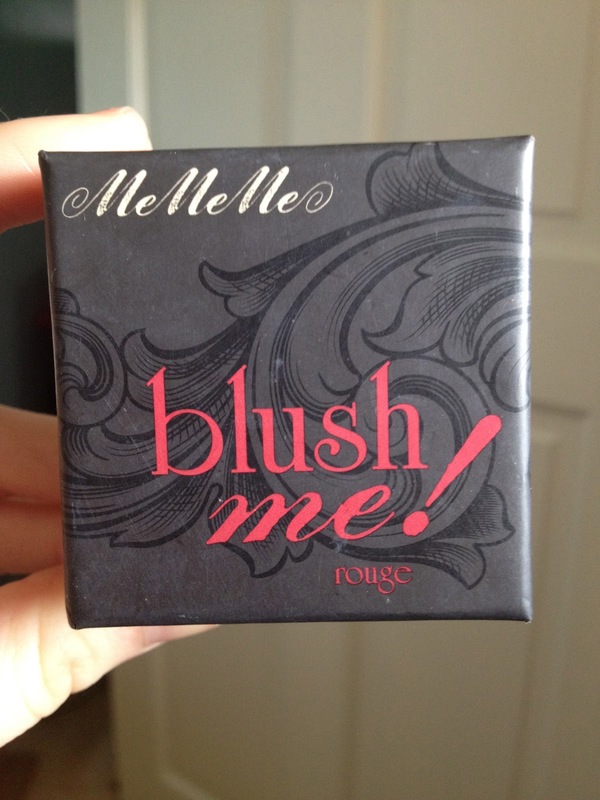 It is a high end product, and so with that comes a high end price tag (boo!) but I really do think its worth it, this has lasted me a really long time, and I don't see any signs of me finishing it any time soon! This is my trusty favourite and I do love Bourgois blushers, I think they are incredibly good value for money as I never finished one in all this time (I did have to buy a spare to keep in my handbag, haha ) even though its such a small pot! 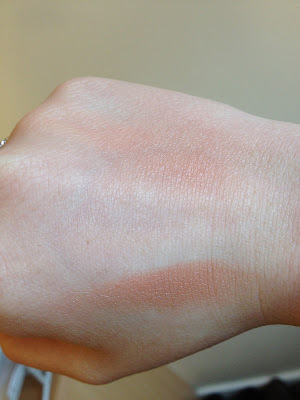 I would describe this as a burnt orange sort of colour because it gives your check bones a sort of contour style flush of colour but because of the slight sheen it also highlights. Its the perfect 'in-a-rush-blush' as its a 3-in-1 product.